SIS Digital continues to roll out digital screens across the UK and has planted its latest on Albion Way, Manchester. 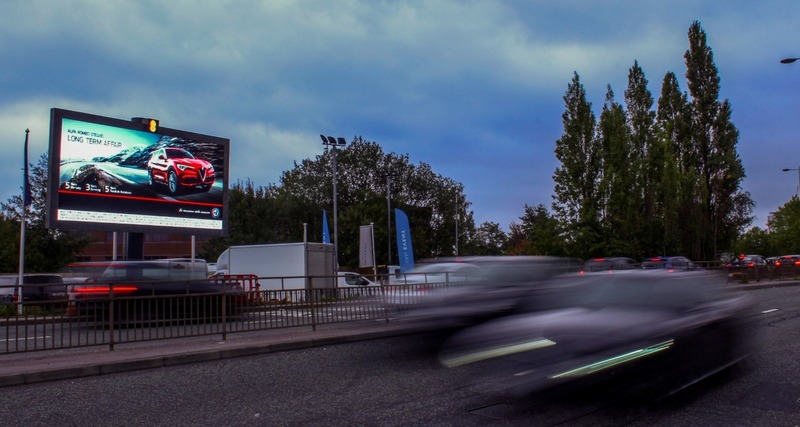 This premium digital roadside screen located just off the M602 roundabout, the main route into Manchester, was built for client 8 Outdoor  a fastgrowing player in the digital outofhome industry. The screen has an especially good dwell time, which is further increased during peak time traffic. The location also provides the screen with longrange visibility, making any campaign visible to anyone in view of the screen. This site adds to the number of digital billboards SIS Digital has built and installed around the UK. It also increases Manchester DOOH coverage for client 8 Outdoor, where it now has seven D48’s and three largeformat LED billboards. 8 Outdoor’s new D48 screen measures 3m x 6m and uses marketdefining LED panels unique to SIS Digital, providing businesses with a communication tool that reigns over the rest.